What should be the Slump of Concrete in Pile Foundation Construction? 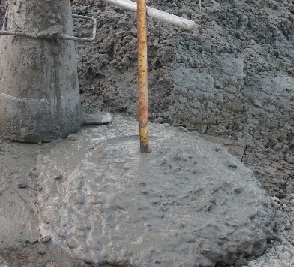 In the last post we have discussed about working stress of concrete in pile. This post is related to this previous post. So have not published post about point bearing piles. We promise to publish it soon. Now we have learned range of working stress for cast-in-situ concrete piles. This working stress is expressed as a function of compressive strength of concrete at 28 days. Now we are providing some information about the slump of this concrete to reach this compressive strength. We know water content in concrete is designed in mix design depending on cement requirements in concrete and on many other factors. One of the other factors is workability. We have already published posts about workability and method to make concrete workable with plasticizers, superplasticizers or some other methods. This workability is very important in concreting in pile foundation. We will not go to workability rather we provide some information about slump requirements for different types and different level of difficulties in concreting in pile. A slump of (3-6)in. or more is suggested to obtain design concrete strength of piles that are cast-in-situ. Now question is 3-6 in. is a large range, what should be appropriate slump for your pile? For a smooth and straight pipe that is driven vertically, a slump of 3.5 in. can perform well. For a pile that have difficulties in reaching concrete to tip of pile like vertical pile having heavy reinforcement or having corrugated shell or in case of batter piles, the slump value must be at least 6 in. Dear reader we have published many posts regarding pile concreting. You are invited to read these. 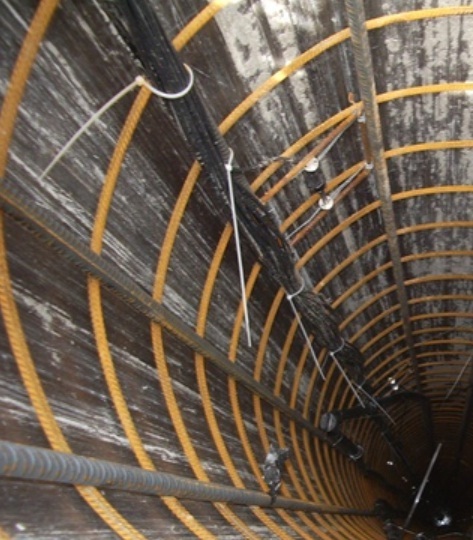 We promise to you that we offer or will offer quite vital information regarding pile concreting. That's amazing, can you provide us In Vedios?